LEGO master builders that are looking for an easy way to add extra effects to their LEGO creations in the form of sound, light or even action, may be interested in a new range of “Super Bricks” created by the team at Fx Bricks based in Ottawa Canada. 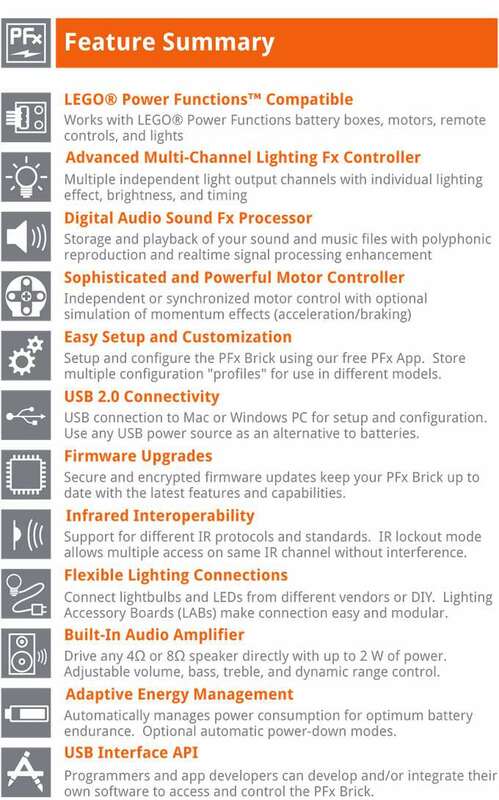 The new PFx Brick has been specifically designed to transform your LEGO projects and provide a wealth of features listed below. check out the demonstration video below to learn more about what the PFx Brick is capable of. Introducing the PFx Brick! A device which transforms your LEGO creations with awesome new possibilities for lighting and, for the first time, sound! The PFx Brick was designed and developed by longtime LEGO fans Jason Allemann and Michael Gale in order to add extra magic to their own LEGO creations. Using their engineering skills and experience, the PFx Brick has evolved from a concept to a mature pre-production prototype. The aim of this Kickstarter campaign is to make the PFx Brick widely available to LEGO fans everywhere by funding the effort to put the PFx Brick into volume production. 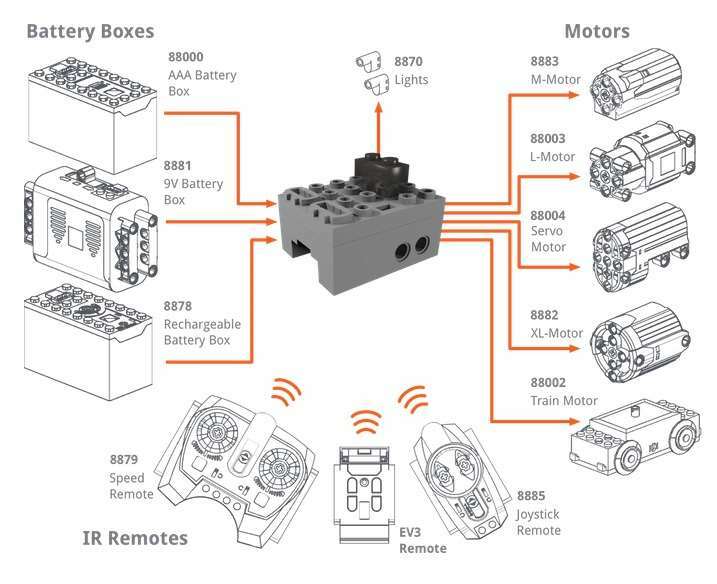 Please take a moment to explore this project page to learn more about the features and capabilities of the PFx Brick. Consider the possibilities the PFx Brick could offer your LEGO creations. We hope its combination of novel features, ease of use, and performance will encourage you to support this campaign and allow us to share the creative potential of the PFx Brick! For more information and to view the full range of pledges available, jump over to the official Kickstarter website via the link below.